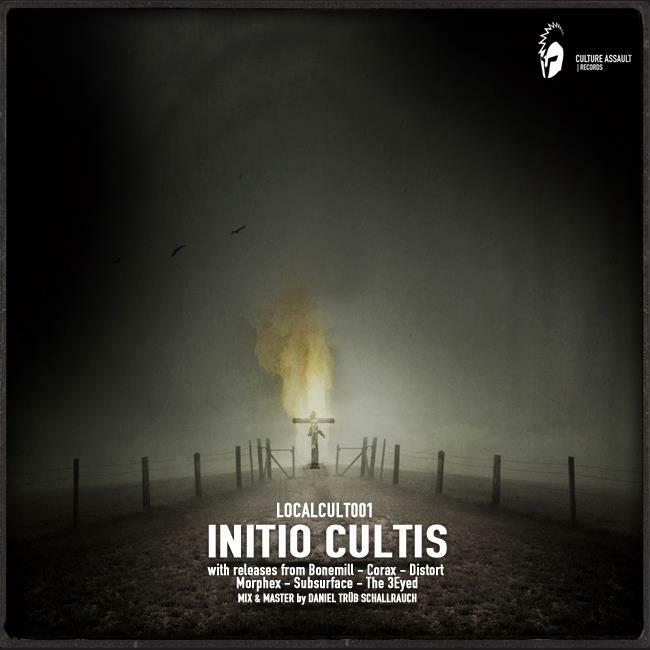 LOCALCULT001 - Initio Cultis | Joomla! From the early footsteps to the adolescence, and now on the switch to something greater and furthermore sophisticated. There has been fun, lots of new friends and faces, new ties for life and others that where cut. There was treason, envy and disappointment as well. But now that we have reached a point where it is possible to gather a couple of tunes, forged of blood, sweat and tears, we can say it was it all worth. One can not understand this, because he might not live in the backyard of Italy near to the border to Austria, still being the wealthiest province of all Italy but narrow-minded in the capacity of the modern comprehension of living the art of electronic music. So today these guys. who have certainly not reached their top level producing skills by now and can go further, have done something more than just creating a couple of tunes. It is a culture assault, they have melodized. It's the break with narrow views and a proof that one can achieve his targets if he only works hard enough. After having shitloads of events with international acts, which four or five years ago nobody would really think that it was possible, this homemade EP is made for promoting that moment where one can pause for a moment, enjoy the panorama beyond and ahead. There is still plenty to do, but not today. Join the Cult! and enjoy our new breed's music.